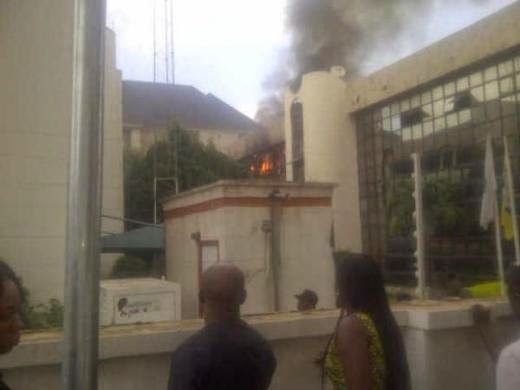 The headquarters of the Nigerian Football Federation, NFF, at Wuse Zone 7 in Abuja is currently on fire. 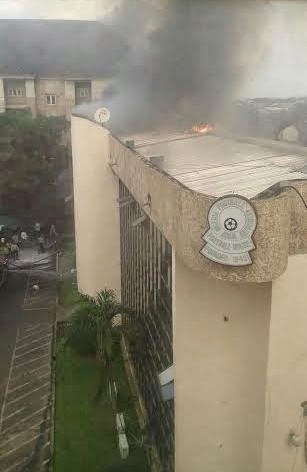 According to eyewitnesses, the fire started from the Third floor of the building. The NFF has been in the news in recent times following a leadership tussle between its president Aminu Maigari and some members on the board of the NFF.